Musser & Company partnered with the Washington Nationals B2B sales team to help bring on new suite holders. The campaign was anchored on the concept of "making business happen" at the ballpark. Target 140 C-level prospects in the competitive Washington, D.C. market and obtain meetings to discuss suite rentals. 140 Message Boxes were created with messaging tailored to entice C-level executives to bring their business to the ballpark and “make it happen” with prospects and clients. 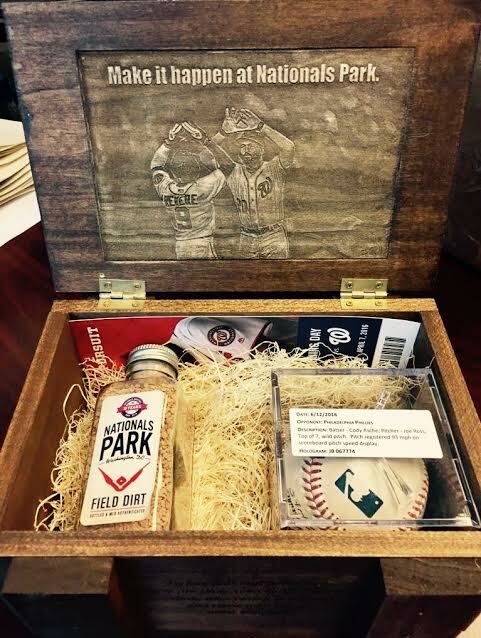 Each box included a ticket to the game, a personalized note from the VP of sales and autographed baseball. 110 out of 140 C-level prospects responded to the Message Box campaign (78% response rate). 40 out of 140 prospects met with the Nationals face-to-face within the first month. The Nationals closed 4 new suite deals as a result of the campaign - a 4,400% return on investment.